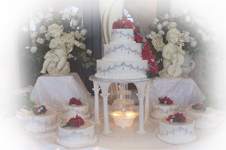 LaPetite Pastry - Finest Wedding Cakes & Pastries in Chicago! Welcome to LaPetite Pastry's website! Located on the south side of the city of Chicago, we are a full-service bakery providing everything from doughnuts and coffee cakes for your breakfast rush to torte cakes and any number of special event themed cakes to cover parties, graduations, holidays and any number of other assorted needs. 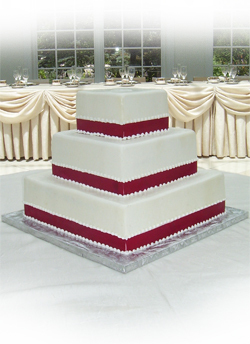 Last but certainly not least, we specialize in wedding cakes. Set up and appointment today and let us show you why you should trust LaPetite with creating a cake that will help represent your love for one another during your most special moment. We promise, our cake squishes on his face better than the next guy's! Contact us today for more information! We'd love to have you stop in and taste just how delicious our cakes and fillings are! LaPetite Pastry Copyright 2010 - All Rights Reserved.